Removable-Disk Storage: Not dead yet? NISKAYUNA, N.Y., Apr 27, 2009 (BUSINESS WIRE) — GE | Quote | Chart | News | PowerRating — GE Global Research, the technology development arm of the General Electric Company (NYSE: GE), today announced a major breakthrough in the development of next generation optical storage technology. GE researchers have successfully demonstrated a threshold micro-holographic storage material that can support 500 gigabytes of storage capacity in a standard DVD-size disc. This is equal to the capacity of 20 single-layer Blu-ray discs, 100 DVDs or the hard drive for a large desktop computer. This format was supposed to be the heralded new technology for consumers and video enthusiasts to obtain and store their high definition video along with “massive” amounts (25-50GB) of data. However, Blu-ray has been out for a couple of years now, and adoption has been tepid at best. most hopes were pinned on mass adoption in 2009, but this assumes that the economy qill recover quickly enough for large swaths of consumers to start spending on consumer technology again. Somehow I have my doubts that this announcement of an “even better” technology will make the situation any better. 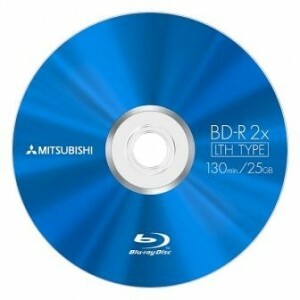 We haven’t even realized the potential of Blu-ray, and those who have shelled out money on Blu-Ray players and discs now face the possibility that obsolescence of the format may already be close at hand, far sooner than faced by DVD.